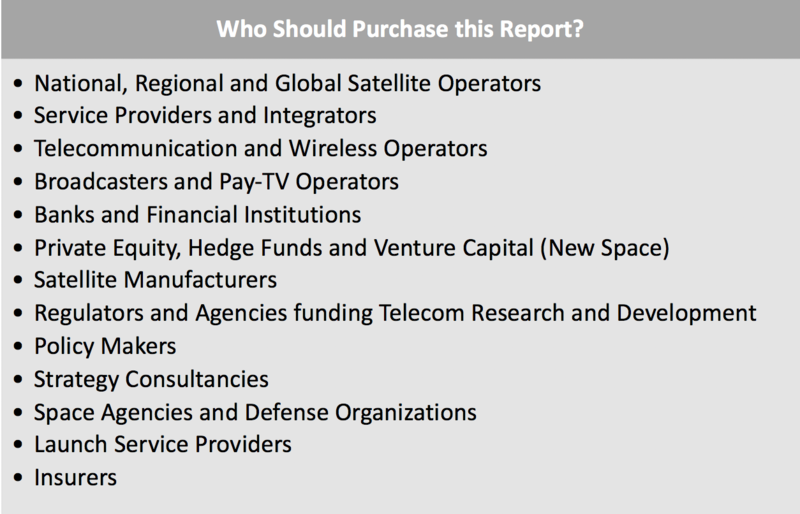 NSR’s Satellite Industry Financial Analysis, 8th Edition (SIFA8) is the leading industry resource for analyzing financial performance across the dynamic satcom market. Built on 10+ years of in-house financial research, innovation in building unique metrics and cross-analyzing infrastructure, capacity supply, demand, pricing and funding trends in the satcom industry, SIFA8 now includes several new metrics, indicators and strategy comparisons. NSR’s SIFA8 report makes big strides including new several new metrics and indicators, with an addition of integrated operators and service providers for the first time. SIFA8 assesses 11 quantitative and 14 qualitative metrics across the Satcom Financial Index, statistical metrics comparing 2008-2012 and 2013-2017 5-year trends, and in individual operator and service provider chapters. 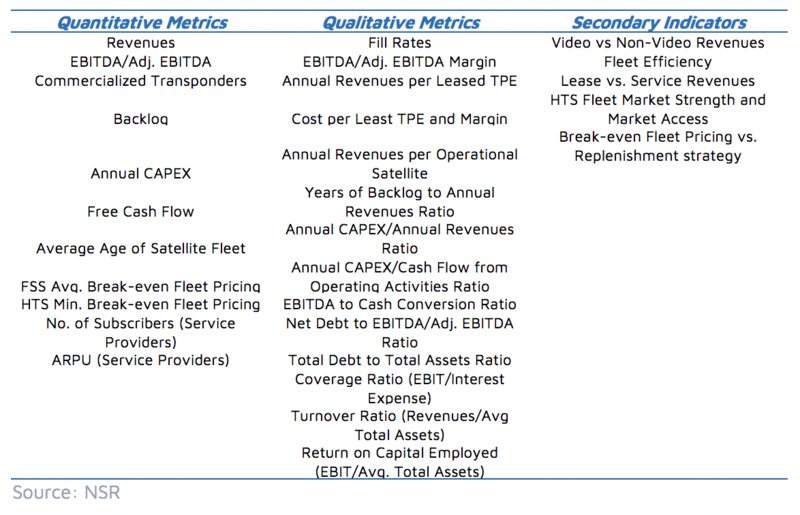 What are the trends for revenues and EBITDA margins in the industry, and what are the directions for video vs. non-video and lease vs. service revenue? What is the long term FCF and ROCE yield, and which operators have booked the best return and why? 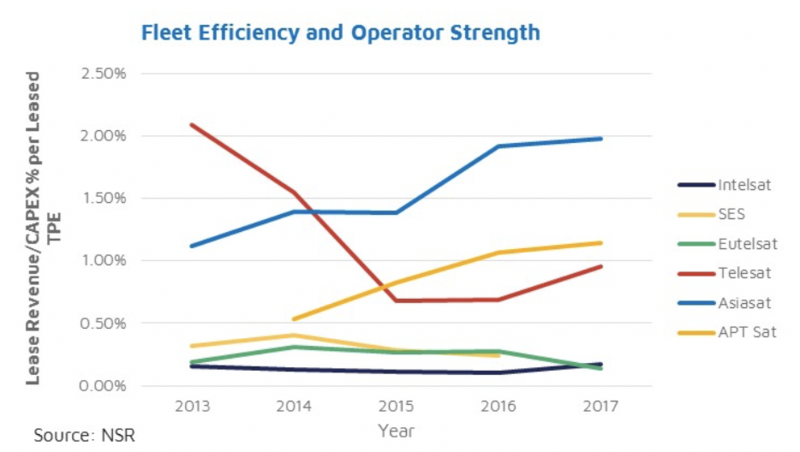 How does fleet efficiency and break-even pricing impact competitive positioning, and which set of operators have future proof growth shielding capacity price declines? 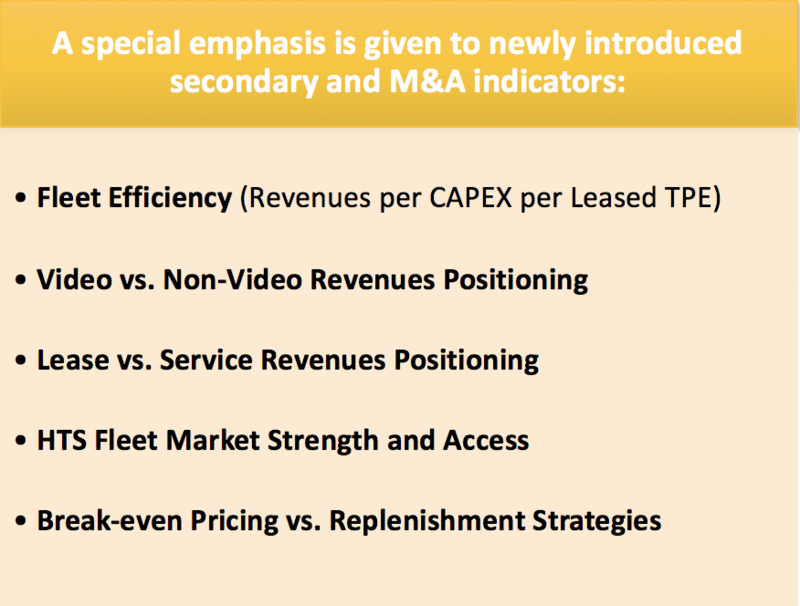 What are the M&A opportunity indicators, and how do Service Providers stack up against Satellite Operators with respect to Long term growth potential vs. business fundamentals? What is comparative strategic positioning of each satellite operator, and what inferences can be drawn? How do FSS and HTS fleets fare against each other on efficiency, and what is a future proof strategy pivot – vertical integration, fleet replenishment, hybrid fleet, inorganic growth, double-digit organic growth at negative EBITDA margin, etc.? NSR introduces the Break-even Fleet Pricing Metric for the first time, indicating the floor/minimum capacity spot pricing possible for a given FSS or HTS satellite/fleet with an operator, where the profit margin becomes zero. 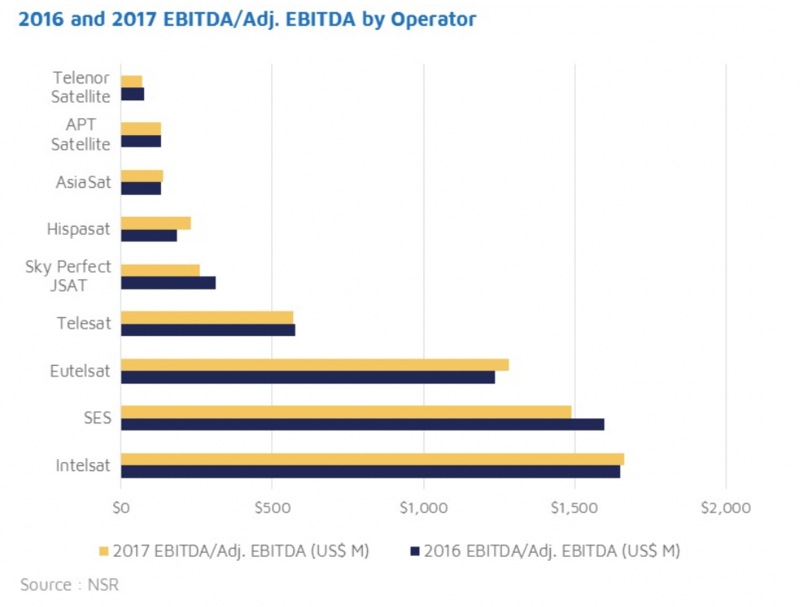 In an era of continuous price reductions, a benchmarking among several operators is made and analysis put forth on the comparative competitiveness of each operator. The Satcom Financial Index and Dynamics chapters present Annual and 5-year trends, represented in the figures as below in Years of Backlog to Annual Revenue ratio YoY comparison and Avg. 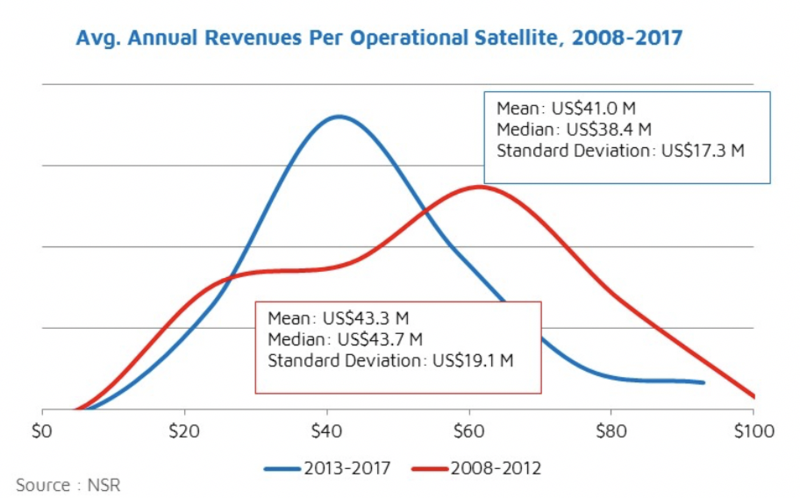 Annual Revenues per operational satellite 5-Year trends. 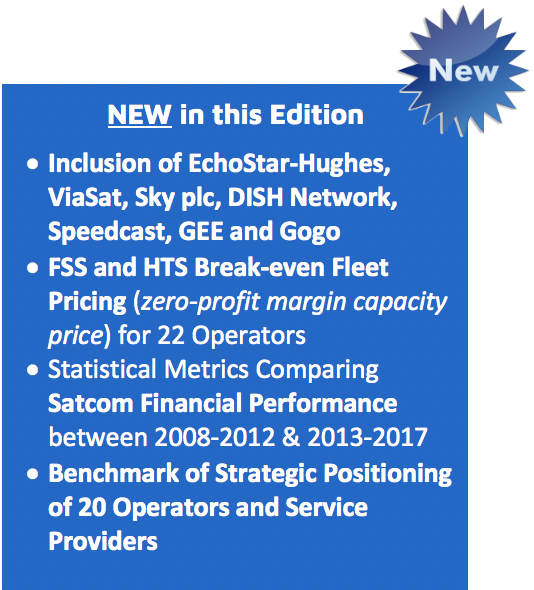 SIFA8, while evaluating various business trends in the Secondary indicators chapter, also provides a list of FSS and HTS fleet pricing of 15-20 operators in the world and comments on regional competitiveness and replenishment strategy using Break-even Pricing, Revenue/CAPEX/Leased TPE and HTS minimum pricing as benchmarks. 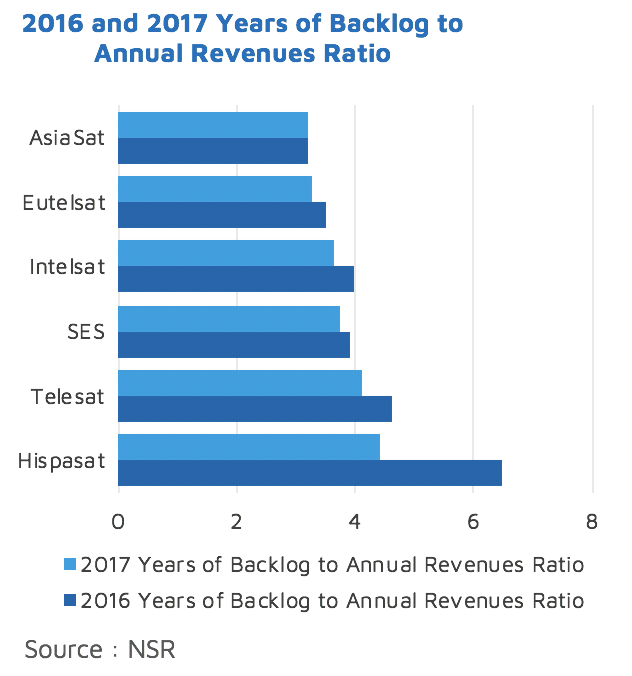 NSR continues to be the market leader in actionable analysis related to satellite telecommunications. 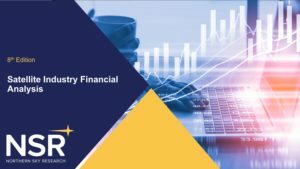 NSR has published several industry “firsts” related to satellite finance, including Satellite Industry Financial Analysis 8th Edition, as well as, Satellite Capacity Pricing Index 4th Edition. With a deep and firsthand understanding of the components influencing satellite operator and service provider finances, NSR’s SIFA8 provides the most in-depth financial analysis in the industry. SIFA8 combines a library of financial data as well as operator-specific data, including leased transponders, operational satellites in orbit, future fleet expansion plans, and regional-specific data. Beyond this, SIFA8 includes a new secondary indicators section, new metrics, 7 new companies analyzed, along with a new benchmarking tool. Intelsat, SES, Eutelsat, Telesat, Inmarsat, Echostar-Hughes, Viasat, Sky Perfect JSAT, Asiasat, APT Satellite, Star One, Thaicom, Hispasat, Telenor, Spacecom, Sky plc, DISH Network, Speedcast, Global Eagle Entertainment, Gogo. ABS, Arabsat, ChinaSat, YahSat, RSCC, ISRO/Antrix, SingTel Optus, Nilesat, Measat, Gazprom Space Systems, Avanti Communications, PT Telkom, Vinasat, Gilat, NBN Co, Turk Telekom, Ciel Satellite Communications.